amazing of themselves. In a scientific world where "clinically significant" means that the researchers were jumping for joy, stronger adjectives are rarely used. But in the case of CoQ10, some of the quotes are downright incredible. Keep reading to find these quotes scattered throughout this page. quality of life of a failing cardiac patient. solely, a consequence of a deficiency of CoQ10." CoQ10 for Heart Failure works in two different ways. First, CoQ10 is a powerful fat soluble antioxidant; second, it is a regulator of the source of power, the mitochondria, inside each and every cell in the body- and especially of heart cells. CoQ10, along with Alpha Lipoic Acid Supplements, are one of the most powerful antioxidants available. Antioxidants are an important force against heart failure. A lack of antioxidants have even been implicated in being one of the Causes of Heart Failure. Antioxidants neutralize substances called "free radicals" that are released into the body in response to stress and cause damage, premature aging and immune system dysfunction. Along with a substance called Carnitine for Heart Failure, CoQ10 is responsible for regulating the energy in the mitochondria of each and every cell in the body. The mitochondria are the primary energy centers of the body and you will absolutely not function if your mitochondria are not healthy. The mitochondria are so important that they can be likened to the furnace on a steam engine. If no fuel gets into the furnace, then the engine will not move no matter what you do. CoQ10, when it has been able to be measured in the heart cells themselves, has been shown to be significantly decreased in patients with heart failure. Worsening heart failure shows worsening CoQ10 deficiency and, conversely, as people are given CoQ10 for heart failure and their heart function improves, their heart cell levels of CoQ10 increase. These studies on CoQ10 levels in the heart have prompted researchers to believe that a deficiency of CoQ10 is one of the Causes of Heart Failure- and not just an incidental finding. When CoQ10 for heart failure is given, it seems to help in many different ways. Heart Failure, also called Congestive Heart Failure, is a problem of a weaker and 'flabbier' heart muscle that becomes thickened and enlarged. These changes don't allow the heart pumping action to be as effective, and this leads to weakness, disability and the 'Hallmark' sign of congestive heart failure- shortness of breath from plasma backing up into the lungs. This emergency condition is often called 'Water on the Lungs' and is a major problem for people with heart failure and requires them to take diuretic 'water pills' that deplete magnesium and potassium that contribute to the high rates of Congestive Heart Failure Death rates and the high incidence of an abnormal heart rhythm called Atrial Fibrillation that occurs. But CoQ10 for heart failure seems to actually be able to fix these problems from many angles and there are few to no CoQ10 Side Effects to worry about. A measure of heart muscle strength is the Cardiac Ejection Fraction. Ejection fraction tells how much blood is 'ejected' from the heart at each heartbeat. CoQ10 for heart failure actually increases the ejection fraction of the heart, clinically showing a strengthening of the heart muscle itself. This is quite important because a low cardiac ejection fraction increases Congestive Heart Failure Death Rates. While an improved ejection fraction is great in and of itself. That also translates into a CLINICALLY important marker of something called Cardiac Output- which is the amount of blood that gets pumped through the body every minute. And an increased cardiac output is what is really important because it keeps the blood plasma from backing up into the lungs and it allows the person to do normal activities without becoming fatigued and short of breath. The heart of those with congestive heart failure are often much thicker than normal. This extra thickness makes the heart muscle less flexible- and a less flexible muscle makes it more difficult to pump blood and creates a lower ejection fraction like we talked about in the section above. But CoQ10 for heart failure can actually decrease the thickness of the muscle itself, as well as the increased thickness that occurs BETWEEN the heart chambers. This decreased thickness may contribute to the increased ejection fraction that helps people with heart failure to get better. One of the amazing things about CoQ10 for heart failure is that it seems to be able to decrease the death rate from heart failure. AndCongestive Heart Failure Death is a really big problem with very high death rates. the lives of such patients." This Study showed that patients on conventional treatments with poor ejection fractions had a 75% mortality rate over a 2 year period. But with CoQ10 for heart failure, the mortality rate was only 25%. That is a such a HUGE improvement that the researchers called CoQ10 for heart failure "remarkably beneficial…"! 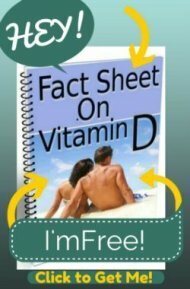 Yet, despite all of these "Remarkable" findings, and the fact that these studies have shown High Absorption Coenzyme Q-10 Supplements to be amazingly safe as well, doctors virtually NEVER check CoQ10 levels nor do they give or even recommend CoQ10 or any other form of Congestive Heart Failure Nutrition for this extraordinarily debilitating disease. Not only are many people not even able to climb a flight of steps without shortness of breath, but 75% of people with a low ejection fraction can be expected to die in 2 years- and the ones that do live remain fearful of the high rates of Congestive Heart Failure Sudden Death. And whileCoQ10 for Heart Failure has been shown to improve those odds and be safe at the same time, doctors choose dangerous drugs that deplete electrolytes and actually contribute to early death. Keep reading to see what OTHER nutrient deficiencies that doctors don't tell you are some of the Causes of Congestive Heart Failure. 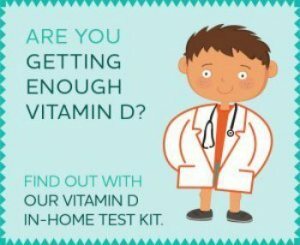 How many milligrams of CoQ10 per day for Heart Problems? Coenzyme Q10 in Dilated MyopathyLong-term coenzyme Q10 therapy: a major advance in the management of resistant myocardial failure<-- A "Major Advance"!! 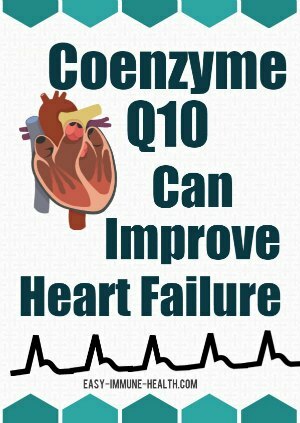 Coenzyme Q10: clinical benefits with biochemical correlates suggesting a scientific breakthrough in the management of chronic heart failure<-- A "Scientific Breakthrough"